Proud and Loud Arts, Theatre Company: An interactive performance exploring difference, disability and stigma. Jackie Hagan, Theatre Artist: Solo show exploring austerity and its impact on the vunerable. Peter Kalu, Filmmaker and SuAndi OBE, poet: The Silent Striker (working title) film, poetry and photography. Click on the commission links above for more details about each individual project. These pages will be updated as the work progresses. We would like to thank all the artists who submitted such passionate and exciting ideas to us: it was a very difficult decision. Disbanners is a Full Circle Arts project based around creative activism. 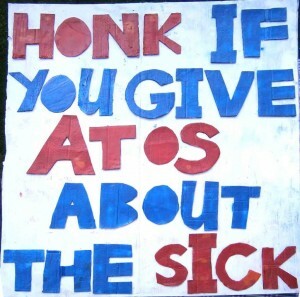 The aim is to give Disabled People a voice through creating protest banners with well known marching banner artist Ed Hall. Once the conversation about Disbanners was underway on Twitter and Facebook using the #disbanner hashtag and we started to receive more suggestions for banners, we put a call out for participants to come and join us on a Protest banner workshop. 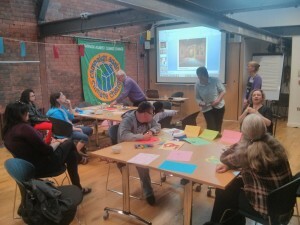 The Disbanner workshop with artist Ed Hall took place at the People’s History Museum on 6th August 2015. The workshop featured making banners, but also lots of discussion along the way. The aim was for participants to design and make their own individual placard as well as working together to design a large-scale banner that Ed Hall will put together. The workshop was open to disabled people aged 16+. 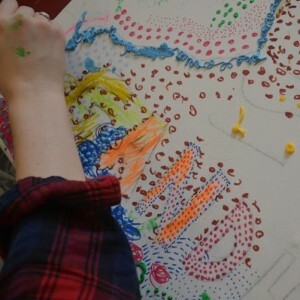 “The workshop highlighted that there is more than one way to make a powerful, political statement. Ed’s guided tour through the history of his collaboration’s showed how the multiple layers of thought in any active, political movement can be illustrated boldly and straightforwardly. ‘Ed is an engaging speaker and imparts his knowledge in a listening way- all the workshop participants contributed in their own individual fashion, and Ed integrated their ideas and feelings into the beginnings of a striking and meaningful design. Everyone present brought something fresh to the workshop, creating some fascinating discussion. 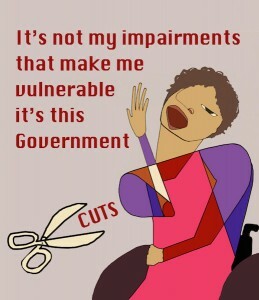 I think there’s going to be a great banner produced, one which will be used again and again to highlight the injustices Disabled people are experiencing. I’m excited to see it finished. The final outcome of the Disbanners project will be a large-scale banner designed by the group and put together by Ed Hall. Watch this space for the final banner! 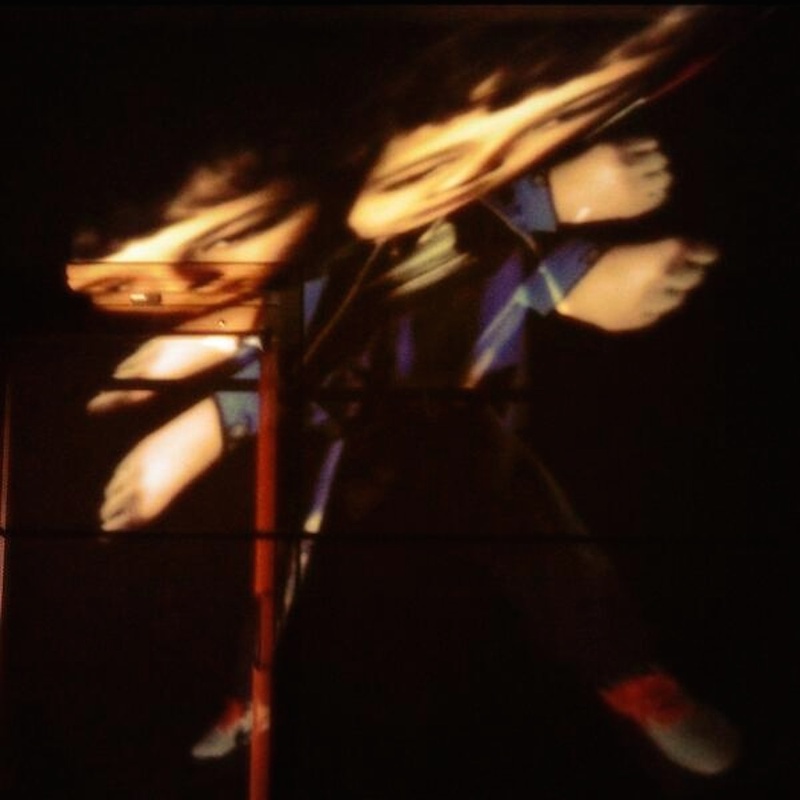 In November 2014 we supported artist Hardeep Pandhal in making a new work titled ‘Profane Illumination’. This video piece was exhibited as part of Hardeep’s first solo show, ‘A Joyous Thing With Maggots At The Centre’ at Castlefield Gallery in Manchester. Alongside each new Full Circle Arts commission, we organise an engagement project that opens up the artwork to a new group of people. 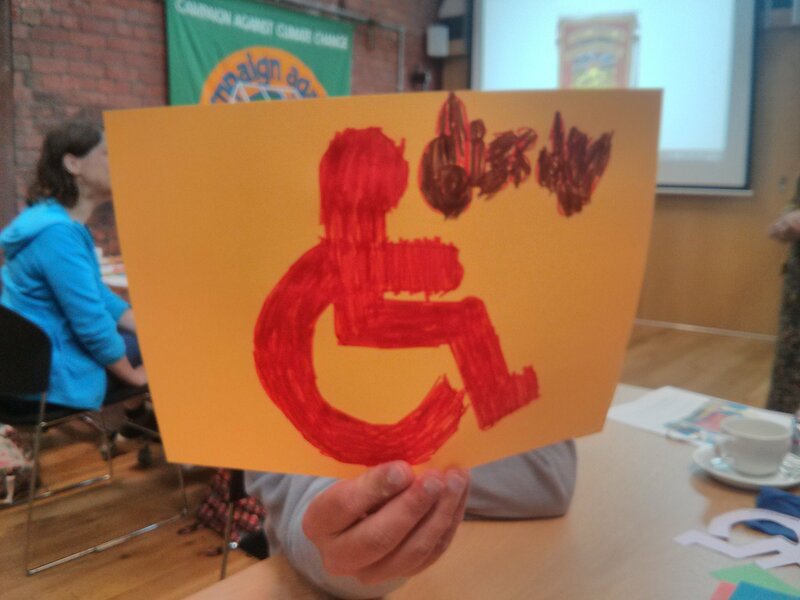 Responding to Profane Illumination, we ran four workshops with the Saturday Challenge group at Gorse Hill Studios. We wanted to draw on the theme of Coming of Age in Hardeep’s work to think about role models and create colourful artworks to display at Gorse Hill Studio’s ‘Rhythm For Richard’ celebration that marked the closing of the centre. In week one Hardeep Pandhal joined artist Lynn Setterington to lead the group in a series of drawing activities. We wanted to forge connections between these two artists and to combine their creativity on a project. We also wanted the group to meet some practising artists, to see their work and learn about their experiences. Lynn tutors on the Textiles In Practice degree at the School of Art, MMU. She is also an internationally renowned textile artist, making illustrative, hand embroidered quilts and cloths. 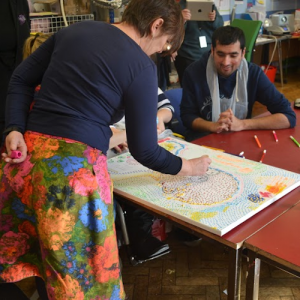 In the following weeks Lynn and a team of volunteers led the group in creating wonderful and colourful drawings of role models; from Gandhi through to Bruno Mars through to Mum and Dad. Taking inspiration from aboriginal art we covered canvasses in dots, lines and wiggles to make up images. We also used collage, paint and pens to add colour to a series of circular drawings that were then hung from the ceiling in the centre’s performance space. In the final week of the project we thought about all the role models at Gorse Hill Studios itself. The centre in Stretford runs art, dance, music, film and theatre projects; providing fun, positive experiences for 11 – 25 year olds. With two groups for young disabled people, the centre has affected the lives of many teenagers, their family and friends. Coming into the group, the friendships and bonds were clear to see. 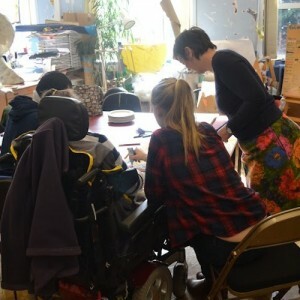 Due to funding problems Gorse Hill Studios has had to shut it’s doors to its members, no longer having the funding needed to be able to provide the creative, energetic and impassioned support they give their young people, both disabled and non-disabled. In this situation it was even more poignant for the group to think about all the role models they had met at Gorse Hill Studios, including Richard who sadly passed away in January. In February we began our DigiCommissions Engagement Project responding to Dave Griffiths’ artwork The Plain Our Bed The Stars Our Blanket. The new work was commissioned by Full Circle Arts as part of a project supported by MIRIAD. For our engagement project, David Oates (www.davidoates.net) worked with a group from the Booth Centre (www.boothcentre.org.uk) over the course of 6 weeks, using the artwork as a starting point for individual photography projects. In week 1 Dave Griffiths talked to the group about his trip to Kangbashi and the artwork that came out of this. The Plain Our Bed, The Stars Our Blanket is a digital collage of photographs taken in Kangbashi New Area that the viewer can zoom into to find details. (http://digicommissions.fullcirclearts.co.uk/artwork/the-plain-our-bed-the-stars-our-blanket/) By utilising technology Dave has made an artwork that you can have many different views of, both micro and macro. It’s a collection of images to roam around and explore. Hearing Dave speak, myself and the group gained a much deeper understanding of the context of the work and the motivations for putting it together as a navigable map. To set the scene for our photography project, Dave and the group began to draw parallels between Kangbashi and Manchester. The differing housing crises’, the need for affordable housing, the growing gap between rich and poor, the government drive in Kangbashi to move from country life to urban life that happened in Manchester 150 years ago. Responding to the discussion, photographer David Oates set the group a task of trying to photograph a story. In the first week David asked the group to simply pick something they are interested in and take lots and lots of photographs to tell it’s story. Hundreds if necessary! The group were then tasked with editing their images down to the best 12. In the following weeks we sat down as a group with each person’s series of photographs laid out on the desk, going round we discussed what had worked well and what could be built on in the next week. From the very beginning we could see interesting approaches and outlooks; some people photographed commuters and shoppers bustling around the city, some people focussed in on otherwise ignored details, some looked at the contrast between new and old architecture. It was really interesting to see each participant’s work progress over the 6 week. Adam started the project with a bang and took really fantastic photographs of the city. 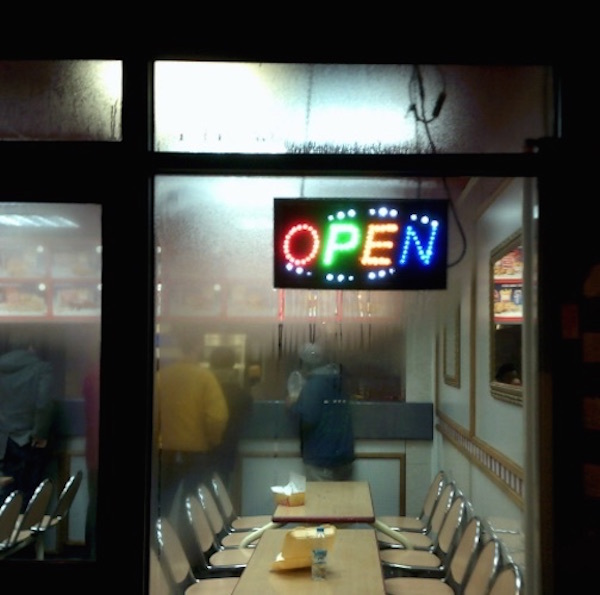 One particular photograph (OPEN) served as a vignette of Manchester at night, giving a narrated glimpse into a detail of the city. Geoff had an obvious eye for texture and colour, capturing details in the architecture around the Booth Centre as well as an amazing shot of Manchester Central Library reflected in a puddle – quintessentially Mancunian! Joan and Margaret captured portraits of their loved ones. 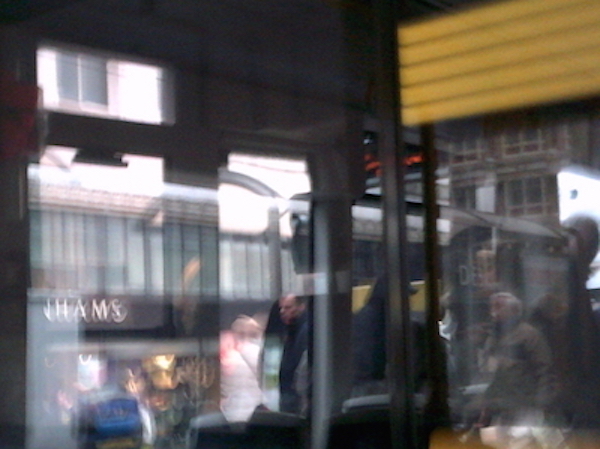 Kelly documented her journey through the city centre. James decided to find hidden details in the city landscape; firstly by photographing a series of found white objects and then by spotting and documenting unintentional letters hidden in pavements, tiles and buildings. Everyone who took part not only captured some great shots but also contributed to the discussions of each week’s new photographs. David Oates, who tutors at Salford University, said how exciting it was coming in each week to see the new work and to clearly see how each participant had listened and taken his advice from the week before. By being so receptive and approaching the project openly, each participant was able to create a body of photographs that tells a story, shows their style and shows all the skills they’ve learnt. The starting point for our recent project was The Summoning, a video work we commissioned by performance collective Volkov Commanders. Having taken on the alter ego of three moon dwellers, Volkov Commanders are able to approach the artistic world from the point of view of naive outsiders. Often jumbling genres and artistic movements, they twist intended artistic meaning, change its story, and transform an idea into a totally new one. The video deals with a literal metamorphosis of an audience into living illustrated characters, lifted from 10 years of poster art created for the Sounds From The Other City Festival. 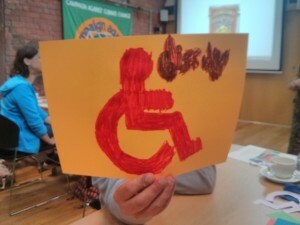 Responding to the commission, artist Samantha Donnelly worked with a group of disabled and non-disabled 8 – 12 year olds at Bolton Lads & Girls Club. 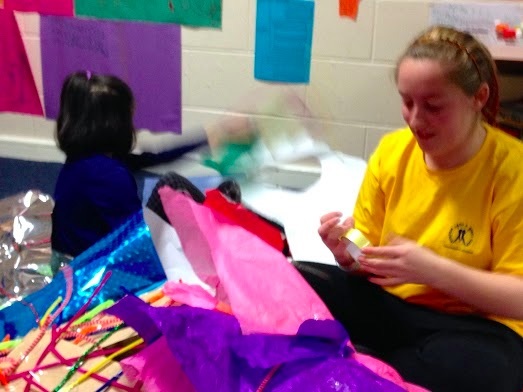 Sam’s energy and creativity bubbled over to the group as she led them in projecting colours and textures, designing characters and developing a story. She encouraged the group to question what is happening in The Summoning. The group picked out shapes, lines and movements from the video to translate into their own characters. Caelen made a fantastic eye ball character called ‘Stormin’ Caelen’ and Abdullah made ‘Dark Man’ a huge robot secretly controlled by a little boy. Using all these ideas the group built a fantastic set to play host to their story of masked creatures and rogue critters. We spent an afternoon being film stars as Samantha captured all of the great work that group have been doing. As well as a screening for family and friends, we are exhibiting the group’s work alongside the original commission at Manchester Central Library on Wednesday 26th November. Full Circle Arts is pleased to present a season of original artwork and writing for Digi Commissions that explores ideas around metamorphosis. Metamorphosis can be a sudden change or gradual process happening on a timescale much longer than our own short lifespan. It involves transformation of form or nature, happening on scales from the minute to the cosmic. It can bring changes that can be felt physically or on a metaphysical level. This can reflect what it is to practice as an artist. With each mark, each frame, each edit, a process of change is underway. The process from creation to completion involves a gradual transition of its own. Often, this completion is never resolute and instead the work is in flux, is revisited or is part of a bigger picture that is growing and developing. In some ways our perception of the world around us is constantly changing and we look for ways to understand these changes and bring meaning to the world; art is one way of achieving this. Over the coming months we will present several new works exploring change. Working with artists and writers from all over the United Kingdom that work in a global context and exhibit across the world. Each of them examining a different aspect or idea to the theme to bring together an exciting programme featuring physical change of the body through performance and costume, re-imagining history and visual identity, looking at the change of the planet through mankind’s activity and inactivity, and seeing how new digital networks are changing the way we create. Within the Engagement Programme we will organise workshops, events and talks that respond to each of the visual art commissions and open them up to a new group of people. 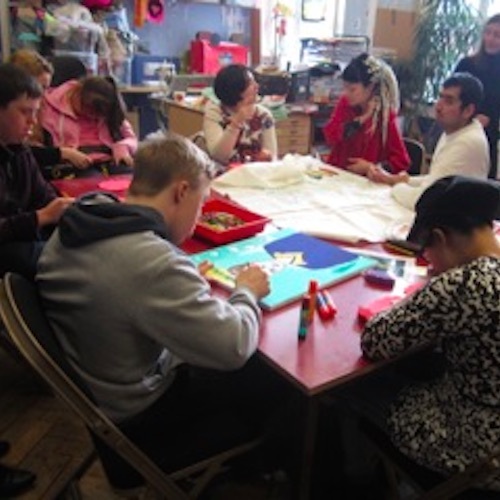 Working with renowned artists within community settings, we will make sculptural costumes with disabled children in Bolton, document the unseen side of Manchester through a photography project with homeless people and used stitched drawings to tell Trafford residents stories. Working with Albino Mosquito we ran a series one-off days filled with building structures, filming and projecting. Participants at Wigan Youth Zone and Touchstones Gallery in Rochdale learnt to use cutting edge Projection Mapping software to literally bring the building to life; capturing footage and shaping the projections onto parts of the building. 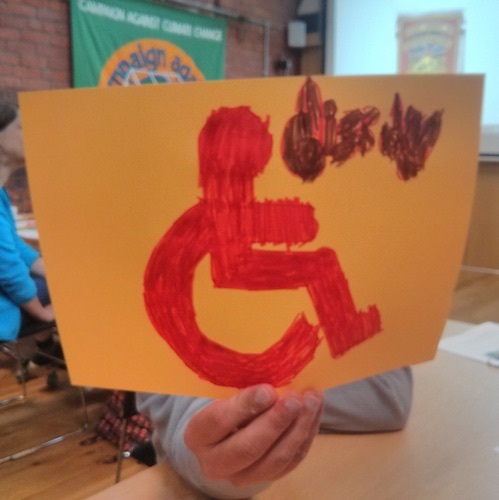 At Wigan Youth Zone the group imagined that the building had a character and used multiple projections to give cupboards, doors and stairways a personality. At Touchstones Gallery we teamed up with M6 Theatre to make a short film playing with how projection mapping can be used, telling a story about a crazed clone going haywire. Visit Wigan Youth Zone’s You Tube channel to see a great film about the workshops. Manchester, UK – Full Circle Arts this week launches their new digital arts project “Pride of Place” with a mission to map pride in Greater Manchester through cutting edge digital media. The media is full of negative stories surrounding place; sink estates, ‘grim up North’, the unemployed being feckless and idle ‘behind closed curtains’, the poor being ‘Chavs’ and therefore un-deserving poor, disabled people being cheats, liars and a burden, and all of them believed to be living other lives in ‘other’ places. We are giving opportunity for people to tell their own stories and show them (and give them the skills) how in the ‘digital age’ it can be easy to have a voice for your own community. Showing the stories in an aesthetic and ‘artistic’ way will be essential to gain an audience amongst the noise in the digital space. Starting in Harpurhey, Full Circle Arts have been running workshops and partnering with community groups, arts organisations and (either ‘the public’ or ‘artists’) and over the next 2 years Pride of Place will be visiting all 10 boroughs of Greater Manchester. We will be running workshops and events with community groups, arts organisations and other partners, creating a wealth of digital content and stories to be displayed on the site http://pop.fullcirclearts.co.uk/ from a wide section of society. Members of the public can also submit their ‘pride’ places and stories via social media with the hashtag #prideofplace for automatic inclusion on the site. At launch facebook, twitter, instagram, youtube will be supported and there will even be a dedicated phone number where people can phone and leave their stories! Do you have a story about somewhere you are proud of? Are you a group within Greater Manchester who would like to partner with us? Do you know of an ongoing arts project where we could provide workshop leading to the creation of digital ‘pride’ stories? This could be a literary course, a media training workshop, community media teaching or any number of activities, we are open to ideas! Continuing our Pride of Place project, we again went to our friends at the Factory Youth Zone in Harpurhey. 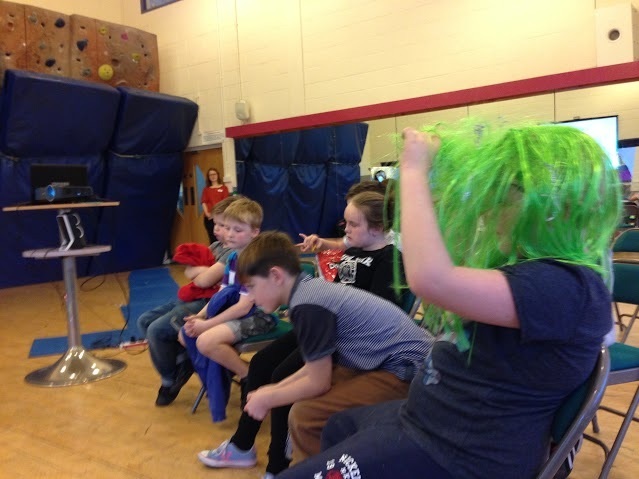 On bank holiday Monday they opened their door for a community fun day where members of the public could attend and try a range of activities and games. The site will be launching soon and will enable people to submit their own stories and media about places that make them proud. Watch this space for news about the website launch! We launched our Pride of Place project at the Factory Youth Zone in Harpurhey. Pride of Place is a project asking people for positive stories about the places they call home. Starting in Manchester and running over the summer, we are holding events and workshops, and asking why people are “proud of their place” over social media channels, and the stories we receive will be displayed and mapped on our Pride of Place site. The Factory Youth Zone in Harpurhey was the perfect place to start the project, with over 200 young people in attendance over the 2 days. Using photography and film, we asked the young people to tell us why they are proud of where they live. Some of the young people also became community reporters, collecting stories from their peers. 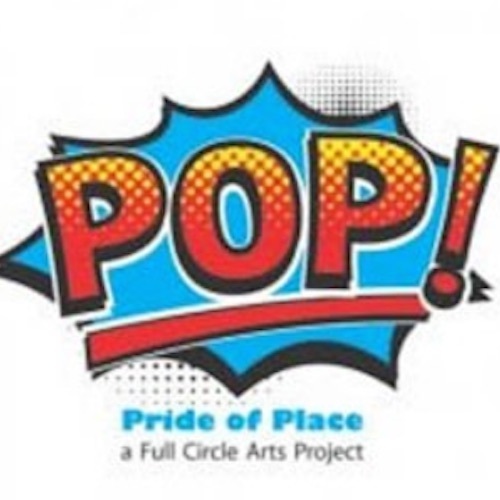 Our official site for the Pride of Place project will be officially launched soon and watch this space for more events. The Factory Youth Zone is a Manchester-based charity in Harpurhey offering a fantastic schedule of activities and opportunities for young people to try new things and learn new skills. They also provide relaxed informal spaces for simply hanging with mates, making The Factory North Manchester’s first choice venue for young people. Full Circle Arts are about to start a digital mapping project that will travel around streets, neighbourhoods and places in Greater Manchester. 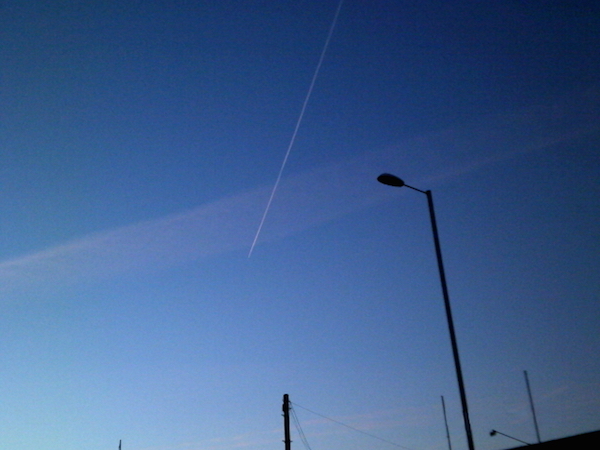 The media is full of negative stories surrounding place; sink estates, ‘grim up North’, the unemployed being feckless and idle ‘behind closed curtains’, the poor being ‘Chavs’ and therefore un-deserving poor, disabled people being cheats, liars and a burden, and all of them believed to be living other lives in ‘other’ places. Full Circle Arts want to give unheard people and places who are marginalised, stereotyped and misrepresented the chance to make their own positive marks on the map. Placing themselves in ‘Pride Of Place’. To do this we are creating a digital mapping project, collecting personal stories both digitally and in person throughout Greater Manchester, and then displaying them, online using trans-media (or across media) techniques and in physical location. Our starting point for the project will be Harpurhey and yesterday we visited the brilliant The Factory Youth Zone. They do some amazing work in an astonishing building. You should really check out their work here http://www.thefactoryyz.org it’s an absolute asset to the community and certainly a Pride of Place. You can also read interviews with each of the artists talking about their work, the process, outcomes and how being involved in the commissions influenced their work. All of whom have been awarded the commissions. The work will be available to view through our website soon! We’ve had a great response to the brief and would like to thank everyone who has sent in their application for this years DigiCommission. We will get back to you by 10th April to let you know if you’ve been successful. It’s soon to be the 1st birthday of Full Circle Arts’ new website and we are looking to give out up to 4 commissions for artwork that engages with digital technologies and is fully accessible. The selected work/s will be commissioned to be on our website. That making something more accessible doesn’t have to be expensive. The works could include, but are not limited to, short film, soundscape, multi-media, animation, written word, interactive, on-line installation, conceptual. We don’t want to limit your imagination. We will be looking for new and creative work that examines the criteria above. Each Commission will be up to 1,000 GBP and will include all expenses, time and materials. They will be paid 75% on award of the commission and 25% on completion. 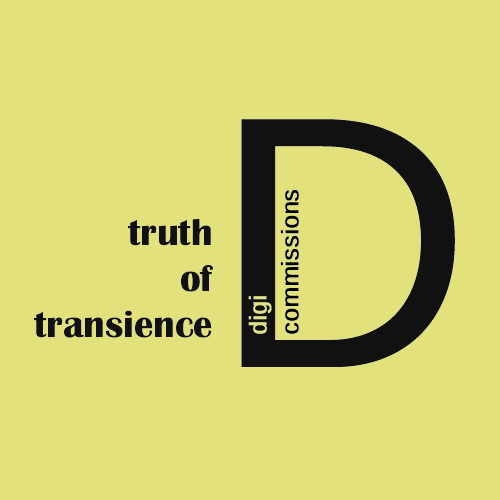 You should note that these are digital commission proposals, it is not a project application. Deadline for application is 17.00 GMT on Monday 25 March, 2013. A massive thanks to all that came and took part in the Fability project workshop at Fab Lab Manchester on Saturday. We idea generated, screened and developed them and are looking forward to turning them into reality. Look out for a full write up of the session next week. Would you like to get involved? We are looking for creative, innovative individuals, irrespective of disability, who are up for getting involved by either sharing ideas or getting involved with making these ideas a reality! The next group meeting will be 17th August where we will be reviewing the ideas so far and maybe generating a few more. The session starts at 11am and finishes about 3pm. Some lunch will be provided. If you would like to attend please email chris@fullcirclearts.co.uk and put Fability in the subject line, or phone 07853957554 or 07939244722. If you have an idea but can’t come along just send an email to info@fullcirclearts.co.uk – we would love to hear from you. As a guide to idea suitability – It should be relevant and repeatable throughout the Fab Lab World Network, and built on a budget using locally sourced materials. 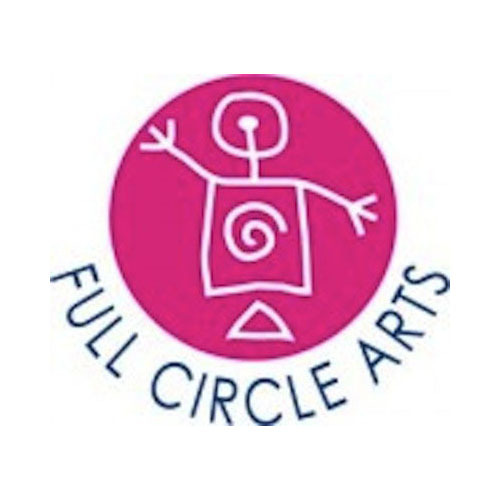 Full Circle Arts are a user led arts organisation who work on inclusive and participatory projects mainly in the landscape of digital and emerging technologies. Fab Labs – digital fabrication laboratories – were set up to inspire people and entrepreneurs to turn their ideas into new products and prototypes by giving them access to a range of advanced digital manufacturing technology. At the heart of Fab Lab Manchester is digital manufacturing technology, combining 2D and 3D design with the latest fabrication technology. Embracing a broad spectrum of methods ranging from CNC machining to 3D printing, it can produce a single unique product from a digital design in a matter of minutes and at a very low cost in comparison to traditional tooling methods. Stage 1 took place at Fab Lab with a great turn out of people looking to to become ‘ambassadors’ of the project. Photo 2: The ambassador’s were split into groups and were asked to design and make an egg cup holder using some of the equipment available at Fab Lab. Above is the egg cup holder made by Chris’s group. It is 30cm’s high, pyramid shaped, made from plywood with the FCA logo cut into each side using the laser cutter. The egg cup has a light inside it, the image below shows the light more clearly. Photo 4: A levitating egg cup holder that one team produced. 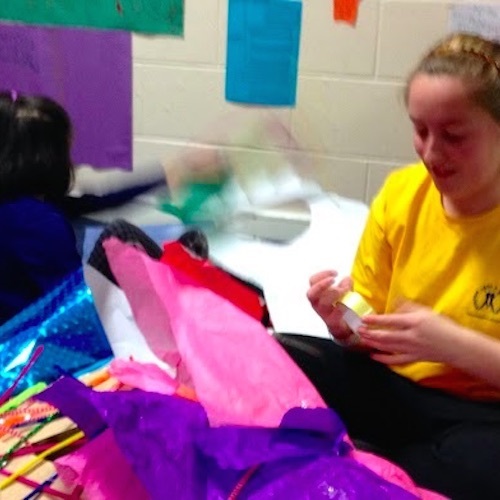 Photo 5: Emily assembling Chris’s team’s egg cup. 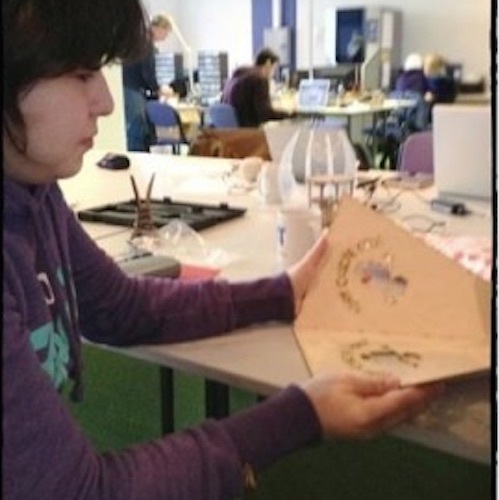 Full Circle Arts is teaming up with FabLab Manchester to develop and create something new. Fancy playing around with cutting edge technology like 3D printers and laser cutters? Want to make a brand new product to benefit you and your communities? To define and work together on appropriate projects which can be designed and made in FabLab Manchester. 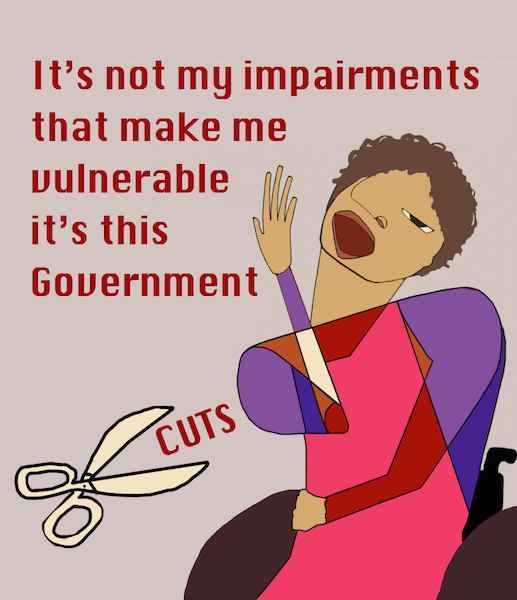 Ideal projects would be focused on ‘disability’. Built on a budget using locally available materials. Relevant and repeatable throughout the FabLab World network. An initial session will assemble interested individuals from both organisations to orientate and call for project proposals. These interested individuals will be known as ‘ambassadors’. The purpose of the initial session is to make this ‘ambassador’ group aware of FabLab’s capabilities so that they can go and enthuse their networks to participate in the project. A second session will assemble the ‘ambassadors’ to shortlist and select successful projects. The third stage of the collaboration is to actually make the projects over the next 2 months following Stage 2. The makers will be drawn from FabLab volunteers and Full Circle Arts’ connections. What would make a good Ambassador? Anyone with a love of making, hacking, designing or tinkering. Or anyone who works with disabled people or disability groups who would like to enthuse them to take part in the project by putting forward project ideas. We’re aiming to develop the sort of projects where a simple, easy-to-replicate design problem can be solved through the power of collaborative working and with the resources of a FabLab, which can provide a cheap and replicable solution to a real need. Stage 1 in scheduled to take place on Saturday 2nd February. If you’d like to get involved or know someone who would, please get in touch with Mari by Friday 25th January. We have a small pot of funds to cover expenses for those who want to become part of our ‘ambassador’ group.